This audio contains two 35 minute meditation sessions. Both of the sessions within Learn to Meditate - The Mindfulness of Breathing begin with a body awareness section which works to focus your mind onto your body and your breath. In the first session you observe and become one with the breath and focus your awareness using your fingers to mark each breath. The second session offers a progression of the technique where the fingers are no longer used. At the end of each session you are encouraged to sit quietly for a few minutes to absorb the effects and reorient your awareness outwards. Through practicing mindfulness we can live with more focus and awareness of ourselves, others and the world around us. It helps us to be more concentrated so that we can live more deeply, and appreciate life more fully. It is also an effective way to reduce stress. The classes are devised and instructed by Rae Roberts. Rae is an internationally renowned meditation teacher who has practiced, studied and taught various meditation techniques for more than 30 years. Her easy-to-follow expert instructions are combined with subtle background music soundscapes which set the perfect mood for the practice. 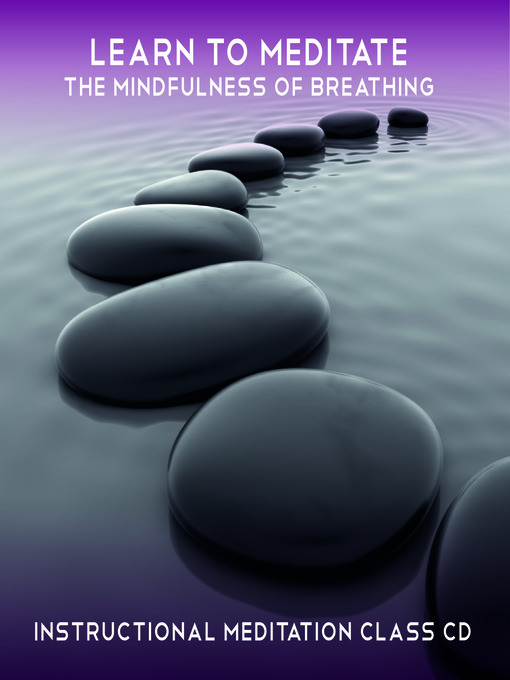 Learn to Meditate - The Mindfulness of Breathing is accompanied by a free PDF guide booklet that provides reference photographs and lots of background information to help you get the most from the sessions.